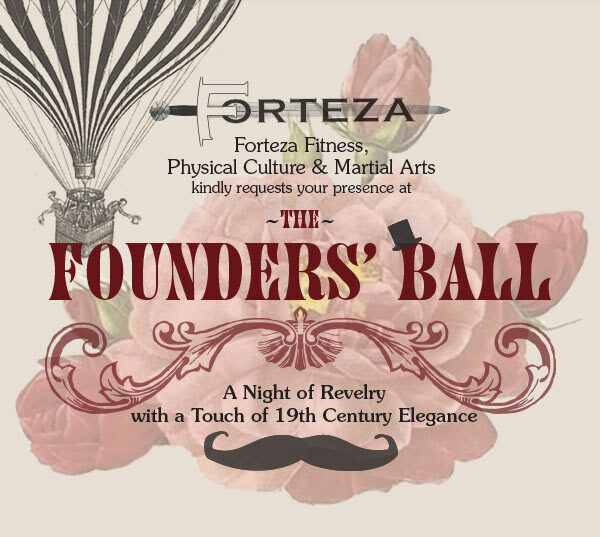 You are Cordially Invited…..Forteza’s Founders’ Ball! We are pleased to invite our students, friends, family and neighbors to a night of music, merriment and a taste of derring-d0 – the Forteza Founders’ Ball! Be sure to arrive no later than 9:00 pm to enjoy the evening’s entertainment, which will include several performances of swordplay and action, and a special, theatrical performance of one of Hollywood’s most famous duels. We welcome our friends of imbibing age for cocktails and dainty delicacies. This is a formal affair, so wear you most dazzling duds, whether they be from modern times, or in keeping with our 19th century theme. Either way, there will be complimentary photographic portraits available for all guests.